Absolutely adore this skirt. Holy cow--you're so talented. And that dress was a great find, too! I've never used anything besides black and white elastic. I need to look into ruffle fabric! Thanks for linking to it. You look fabulous! 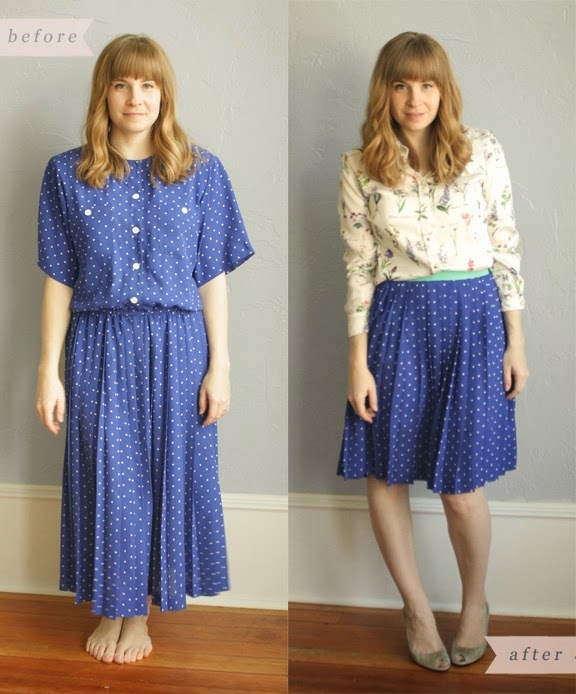 Do you have a good tutorial for making dresses into skirts? I would love to try ... well someday. I basically just cut off the top of the dress & salvaged the material from the skirt (including the finished hem because I'm lazy). This Freshly Picked elastic waist tutorial is my favorite. I didn't include pockets this time - but love that option too! 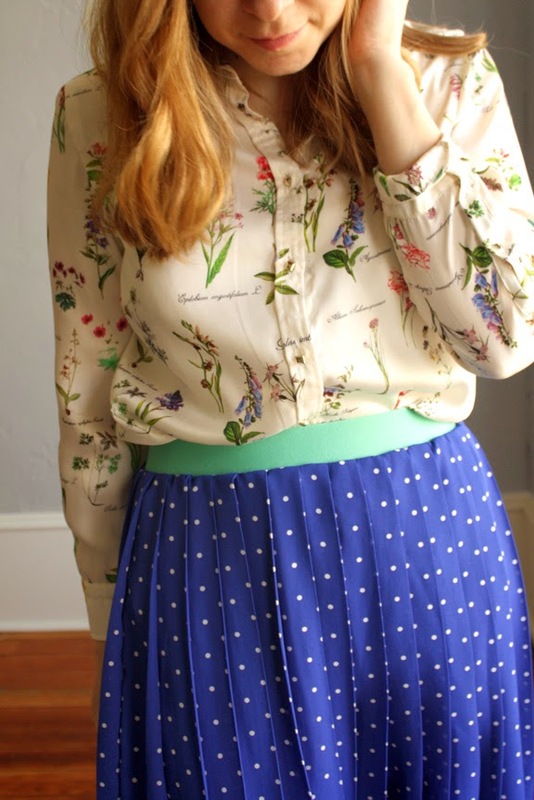 very cute, cannot believe that blouse is thrifted for only $5. Love your blog.